Simon Zebo caused anger among Ireland fans after he sent a tweet appearing to mock Joe Schmidt's side's humiliating 25-7 defeat in Cardiff. Zebo hasn't played for Ireland since announcing his move to Paris before the 2017 November internationals, but the ex-Munster star is still holding out hope of getting picked by Schmidt for the 2019 World Cup. IRFU policy states that only players playing in Ireland can represent the international team, although special dispensation was given to Johnny Sexton when he moved to Racing 92 in 2013. Speaking recently, Luke Fitzgerald said Zebo's current form merits inclusion in the Irish team, and selected both Zebo and Bristol out-half Ian Madigan, who hasn't represented Ireland since leaving Leinster in the summer of 2016, in his Ireland team to face Italy. 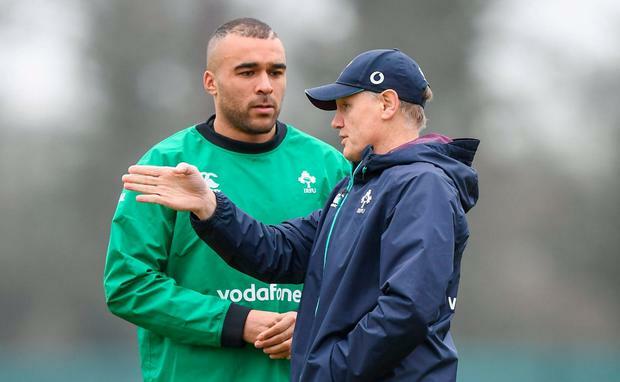 Schmidt and the IRFU are unlikely to change their stance on Zebo and the player's tweet, which was quickly deleted, will not do whatever chance he had any good. "Hey bro @ian_madigan any craic? (Crying laughing emoji)," Zebo tweeted to Madigan before it was deleted.